TPG Capital is a leading global investor with over 20 offices worldwide, TPG Capital requested a business qualities of grandness, bold, timeless with elegance finishes. Natural bold timbers were used for the front of house areas to create a warm and inviting entrance for patrons to the office, darker timbers are used throughout the space to carry the elegance to back of house. The significance of the project was ultimately the location of the office, 101 Collins Street as one of Melbourne most prestigious buildings with a remarkable foyer and entrance to the iconic building. 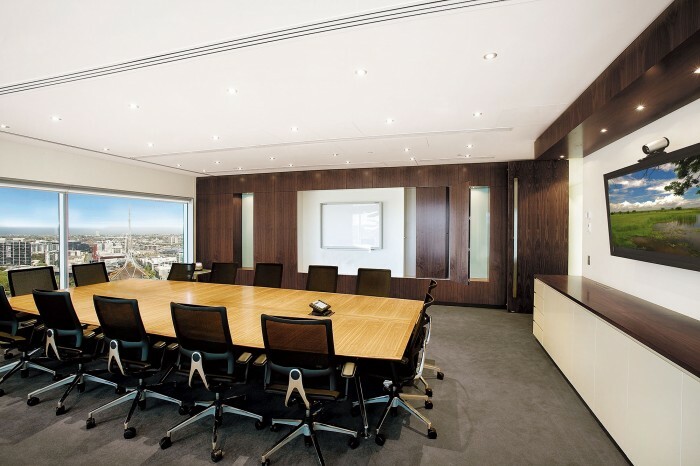 TPG Capital choose their situation on level 31 for the breathtaking views of Melbourne skyline and the Yarra River, a priceless view and location.